Part III surveyed the growth and development of BLO under the leadership of Janice Mancini Del Sesto. But the rapid and steady growth of the 1990s could not be sustained indefinitely—read on for more about BLO in the beginning of the 21st century. The events of September 11, 2001, had profound and far-reaching effects on all aspects of American life. Boston, although not the epicenter of the tragedy, experienced an especially strong jolt from it by virtue of being closely tied to New York by geographic proximity, and through having been the point of origin of two of the doomed flights, as well as the home of a substantial number of the victims and their relatives. People became fearful of going into the center of the city, of using public transportation, and of gathering in large numbers. The destruction of the Twin Towers by terrorists would prove to be a watershed moment for arts activity in the United States. Ticket sales were negatively affected and attendance at performances declined as even long-time subscribers chose to avoid the risk they now perceived in what had formerly been normal activity. BLO took the pulse of its audience and countered the national mood of melancholy and dread by programming feel-good works that avoided tragic subjects for its 2002-2003 season. As audience behavior began to change in the new century, owing to this tragic event and to other factors, BLO had to adapt to meet the challenges thus posed to its operation. 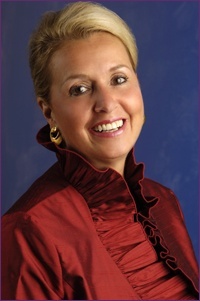 Janice Mancini Del Sesto was forced to suspend one notable programming trend that had been begun by Justin Moss, her action a source of great disappointment to some BLO followers. Each season Moss and his team had programmed a work by an American composer among their offerings. Initially Del Sesto had followed suit and had affirmed the Company’s commitment to exploring the work of contemporary composers. Operas such as Candide, The Ballad of Baby Doe, Akhnaten, Resurrection, The Little Prince, and Flight were part of this vein of programming. However despite critical approbation of many of the productions, only Akhnaten proved a box office smash, and the others, excepting Baby Doe, were publicly greeted with weak ticket sales and poor attendance by subscribers. No performing arts organization can afford to ignore for long the preferences of its paying audiences. A new model for choosing repertoire would have to be sought and another means of creating interest and sustaining growth would have to be employed. In the General Director’s message in the Playbill for the 2003-2004 season-opening Rigoletto, Del Sesto cited the enormous progress and growth of the Company over its 27-year-history and emphasized the fact that, unlike many other arts organizations throughout the country, BLO had ended the previous season with balanced books. However under difficult nationwide economic circumstances it had been necessary to cut the budget in order to do so, and there would have to be other cost-saving measures taken to preserve the balanced status. The 2003-2004 season, “The Italian Season,” as it was thematically designated, was, of necessity, limited to three operas, down from the four that had been offered in each of the three preceding seasons; and as there existed very little room for risk-taking, Del Sesto and the Board further responded to the situation with greater focus on beloved masterworks – guaranteed box office successes – and even more extensive outreach programming. Failure to respond to economic circumstances in such a way would have exposed the Company to substantial risk, they felt, and to the very real possibility of unsustainability. The use of the “Italian Season” as an attempt to win back BLO’s old audiences with “comfort opera” succeeded in a somewhat limited way, but it also demonstrated graphically the negative financial aspects of the situation. And the programming strategy of the two seasons immediately following the World Trade Center horrors also left BLO open to a revival by its critics of its past reputation for stodginess. BLO’s recalibration, decried by critics as a shift toward more conservative programming, was not a reflection of Del Sesto’s taste nor that of Board leadership but rather a bow to the fiscal realities of running an opera company in difficult times, and more specifically, an opera company still laboring in financial shadows cast by its predecessors and by its own not-so-distant past. No successful appeal-for-funds case could be made to prospective donors or foundations by a company with poor ticket sales or by one lacking financial accountability. Concurrent with this budgetary scaling back and repertoire refocusing, and compounding BLO’s ongoing difficulty in establishing an entirely positive name for itself in the community, was the ousting of Richard Conrad from his artistic leadership role at the Boston Academy of Music and that organization’s subsequent vigorous rebranding of itself in 2002 as Opera Boston. Dedicated to presenting new music and rarely seen older works, the Company attracted a growing number of followers who sought out such esoteric programming and the occasional famous-name artists engaged for some of its productions. Opera Boston received much positive press attention that included descriptions such as “the scrappy underdog” of the Boston opera scene, and was cheered on by some in the community as “The Hare” in the age-old racing analogy. Some of Opera Boston’s supporters behaved as if motivated by the belief that Boston might not be able to support an opera company that was both fiscally stable and artistically vibrant, and that if just one of those standards were to be met, it should be the latter. “Opera here and now, the future be damned,” the philosophy that was ultimately seen to have been behind Sarah Caldwell’s approach to her career, flourished anew. The press never seemed to express concern for the fiscal health of Opera Boston nor for its potential for longevity, but the Company failed to broaden its funding base much beyond the contributions of a relatively small number of major donors and was forced to cease operations in 2011 when it encountered a large cash flow problem, although the Company did not declare bankruptcy and thereby left open the door to possible future activity. Indeed, in 2013 a reorganization led to the creation of a new entity, Odyssey Opera, focused as had been its predecessor on new works and underperformed works of earlier masters. BLO remained committed to meeting both standards of excellence, that is, building an enduring company and performing with a high degree of artistic vitality, but its struggle to change Boston’s negative preconceptions of the city’s own operatic life and that of its largest opera company paralleled its struggle to remain stable and to resume the momentum of its late-20th century growth. Although the press continued to chide BLO in the first few years of the 21st century for not taking more artistic risks, much significant growth occurred behind the scenes during this period of supposed stasis. Del Sesto had long since moved the Company into the technology age by computerizing record keeping and ticket sales. Now she would lead the Company toward greater modernization in another way, by completing a strategic plan that would help align the thinking of Board members, staff, and patrons toward a common set of priorities and objectives for the future. This would be accomplished by implementing the Balanced Scorecard, a strategic management system developed by Harvard Business School professors Robert and Ellen Kaplan and adapted by Ellen, a member of BLO’s Board of Overseers, to the specific circumstances of non-profit organizations. BLO became the first performing arts organization to use it and then became the subject of a Harvard Business School best practice case study citing its positive results using the system’s proposed multiple performance measures of success. Of course, organizational growth as well as artistic growth must be supported by the development of fund-raising tools. To this end in the same year, 2001, BLO produced a program for planned giving that it named the Goldovsky Society, after the great American impresario, Boris Goldovsky. In doing so it chose to associate itself with the extraordinary record of achievement that his name evokes, and further, this choice suggests the importance of the continuity of resident professional opera in Boston, a cause to which Goldovsky had certainly been devoted. But regardless of these efforts and quite apart from them, audience-building became a challenge for performing arts organizations in general and for BLO in particular in the early 20th century. Despite the huge success of such public outreach ventures as Carmen on the Common and enthusiasm for BLO’s Opera New England performances for school children and for families, the purchase of both subscription series and single tickets by traditional opera-goers was declining, and attracting new paying audiences, especially younger people, was becoming increasingly more difficult. Broad changes in societal behavior were emerging as trends that made opera attendance an unlikely choice for many in the community. It soon became clear that the road ahead for BLO and for arts organizations everywhere would differ greatly, and most likely permanently, from the path many of them had been following in the recent past. Among these broad changes were a shift in national educational priorities and the growth of multiple new technologies. Primary among the former was a much-trumpeted drive for overhauling public education entitled No Child Left Behind. As the movement gained national momentum, the key to achieving its ends was held by policy makers to be the implementation of a tightly structured curriculum focused entirely on basic skills. Assessment of skills would be ongoing and rigorous, and there was little, if any, role for arts education in such a plan. Funding formerly dedicated to arts instruction was shifted into other curriculum areas, and teachers were required by administrators to spend all of their class time exclusively presenting core material, student mastery of which would be gauged with standardized tests. Even in instances where non-profits and arts organizations offered free programs and activities to schools, they were often declined either as being educationally irrelevant or as draining time away from basic skill practice and especially from test preparation. As a result, a generation of children has arisen with limited knowledge of the existence of any art forms beyond the most obvious aspects of mass culture and with no means of exploring them. In such a hierarchy of values opera becomes easily ignored. As attendance at its events geared toward school groups and families declined over the decade, and as the funding community redirected grants toward programs for children that emphasized their active participation in arts experiences, BLO found it financially unfeasible to continue its existing educational programs and ceased performing under the ONE name in 2011. The other changes in wide swaths of societal behavior that impinged on arts consumption all stemmed from the rapid growth and development of communications technology. Previously undreamed-of electronic devices changed both the way people experience culture and their expectations of it, in part by spawning multiple new entertainment genres, many of which can be enjoyed privately with a personal electronic device. As diversionary and leisure activity became increasingly predicated upon electronic rather than face-to-face connection, the chances of young people becoming exposed to or interested in attending live opera were further reduced. And more, the rise of instant communication has led to the pursuit of a spontaneous and fluid social life for most young people, the unscripted quality of which means making fewer advance commitments to activities or events. For the performing arts this translates into much smaller numbers of subscribers even when single ticket sales remain steady, often creating a cash flow problem. An additional technological development in the entertainment domain that may have contributed to lower attendance at BLO performances is the growing popularity of high definition telecasts live from the Metropolitan Opera in New York to select movie theaters across the nation, although this seems to have affected mostly middle-aged and elder patrons, people who were familiar with opera and who had purchased performance tickets in the past. Anecdotal evidence suggests that many of these opera-goers are apparently willing to trade the thrills of a live performance for the convenience of driving to a suburban movie theater with easy access to free parking and relatively low ticket prices. As the transmission of news and information has become increasingly a function of high-tech devices, the parallel decline of printed news media has further eroded the visibility of the performing arts in the community. The resulting drastic decline in the readership of daily newspapers and of print magazines has left only a small fraction of the amount of space once devoted to reviews and discussions of opera now available for that purpose, and of course a much smaller group of potential audience members reading about opera activity. While there is extensive reviewing of opera and theater available online, much of it is provided by non-professional commentators who lack extensive knowledge of their subject and who are thus unable to educate their readership, an activity that had formerly been untaken by journalists who reviewed theatrical and operatic performances. Changes in the recorded music industry have also contributed to the marginalization of opera in national cultural life. Because recorded music is now most often delivered to consumers by means that do not generate as much revenue for producers as once had been the case, the availability of recorded opera has been greatly reduced. A narrow range of operatic works are recorded by a limited set of singers, with producers unwilling to take large risks on uncertainties, a situation that had been developing even before the blossoming of the technology era. This has been an increasingly forceful factor in shaping audience tastes. As Del Sesto pointed out in 1998 the paucity of recordings of 20th century operas renders these works unfamiliar to most opera goers and therefore of limited or no interest to the less adventurous. Addressing the subject again in 2002 she noted that audiences before the 20th century experienced all music as new music the first time they heard it live, but in modern times people have come to expect some degree of prior familiarity with works before they see them onstage. There exists, then, the catch-22 situation of opera audiences increasingly wanting to hear familiar music, while the opportunities for building such a familiarity are diminishing, creating an ever-shrinking list of operas that are familiar and thus desirable to audience members with conservative tastes. Opera companies walk a programming tightrope trying to please polarized audiences, those who only want to hear well known works, those who primarily want to hear unfamiliar works, and the few who populate all the spaces between these two extremes. The first decade of the 21st century saw tremendous fluctuations in the economic health of the United States that, again, impacted all aspects of life throughout the country and certainly the arts. But one factor quite specific to Boston has weighed heavily on all the not-for-profit organizations of the community since then. During that decade several very large corporations moved their world headquarters out of the city to other locales or were subsumed into companies that were headquartered elsewhere. The funds that such businesses contribute directly to non-profit organizations in the city with which they are most closely identified were then redirected to their new centers of commerce, and the transfer of executives out of the city drew away those individuals’ personal philanthropy as well. Others of the companies that remained headquartered in Boston shifted the emphasis of their community contributions away from the arts and toward poverty relief. A very specific manifestation of what such an overall loss of corporate strength would mean to Boston was the failure of BLO’s attempt to follow up its Carmen on the Common success with two free outdoor performances of Aïda. Planned for September of 2006 and with a projected budget of $1.4 million, the performances were never given due to the lack of sufficient corporate sponsorship. The Company could secure only $1 million of the necessary funds, with the largest corporate gift received a mere $10,000 against an anticipated lead sponsorship from the $250,000 to $300,000 range. This was most likely the greatest disappointment of the Del Sesto era at BLO. Among all of the obvious implications for the arts of the national and local depressed economic climate there lies one significant outcome that might not be apparent at first glance. Public television and radio were sorely impacted and suffered extensive budget cuts, as the relevance to the community of these traditional media was being challenged by the same new communications technologies that encroached directly upon the live performing arts. When broadcasting costs rose and funding levels fell, WGBH, the local public radio station, determined it could no longer afford to present all of BLO’s performances to its audience. Where thousands of people all over New England had been listening on the radio to locally produced opera on a regularly scheduled basis, stimulated to attend in person and perhaps to make donations, in 2008 BLO lost that consistent and effective presence, an important audience-building tool. Sporadic special programs highlighting BLO productions continue to be broadcast but are not a regular feature of the station’s programming and therefore no longer a reliable means of audience-building. Midway through the first decade of the new century as all the cultural institutions of Boston struggled with an ever-evolving model of audience engagement and with a diminished community-wide structure of support, BLO also confronted a number of major changes in leadership, management, and staff, to the extent that by 2010 there would be an entirely new team in place. The first change occurred in May of 2003 as the severity of the post-September 11 economic downturn began to acutely impact the arts. When BLO responded to the circumstances by paring back its budget and reducing the number of operas for the 2003-2004 season, Leon Major opted to leave his position as Artistic Director. Although he would later direct additional productions for the Company he felt he would not have enough professional activity in Boston to keep him there on a formally committed basis. This position would then remain vacant until 2008. No further changes appeared to be forthcoming in the foreseeable future as Music Director Stephen Lord renewed his contract for four more years in July of 2004, although the fact that he was scheduled to conduct only one of the Company’s productions for the 2004-2005 season constituted a deviation from the pattern established in previous seasons, when he had conducted nearly all of the BLO’s offerings, and perhaps suggested a diminished role for him with the Company. In July of 2006 he made known his decision to leave at the end of that contract period, in 2008, ensuring, he suggested, sufficient lead time for the Company to identify a replacement. BLO immediately planned a search for a new Music Director, but that project was quickly tabled as subordinate to another charge that arose soon after, the search to fill an even higher-level position, that of General Director. Late in 2007 Janice Mancini Del Sesto announced that she would not renew her contract when it expired in the fall of 2008. After 16 years of devoting herself to stimulating and steering the growth and success of the Company, she had decided that she would like to pursue new and different challenges in the remaining years of her professional career. The Board of Directors opted to postpone the selection of a new Music Director until after the next General Director was in place, allowing for that individual’s participation in the selection process. And in keeping with the prevailing tone of change and renewal of this period at BLO, the duty of selecting Del Sesto’s successor would fall to a Board of Directors that itself had recently undergone both structural and leadership changes. Prior to the 2006-2007 season the Company had been governed by a President and a Chairman of the Board of Directors. In 2006 in an attempt to align the Company with contemporary best practice, a restructuring at the top eliminated the largely honorary position of President and left the governance of the Company in the hands of the Chairman, the individual who would now be tasked with guiding the Company through the greatest transition it had ever undergone. Del Sesto had been by far the longest-serving General Director in Company history and had overseen the evolution of BLO from a moderately respectable regional company to one that had begun to merit national attention. Much of BLO’s constituency had come on board during her tenure and was unfamiliar with the history of the Company in its earlier years. Remembering the past before her administration might seem as challenging for some as imagining the future without her. How dramatic might this next change prove? Would all the accumulating changes finally tally up as evolution or revolution? What sort of vision would the next General Director bring to Boston Lyric Opera? What sort of institution would BLO be after the new leadership team was in place? In Part V, BLO tackles multiple leadership transitions and commits to a new vision for its future. Akhnaten, see Part III, note 9. The Little Prince, see Part III, note 10. Flight, see Part III, note 10. By 2004 BLO offered the interpretive services of a describer for bind patrons, online courses, Opera Insights (lecture and dinner at BU Mugar Library), Opera Preview at the Tremont Hotel before each performance, Opera Overtures (dinner and lecture) as fund-raising activity, and free study guides. In a phone conversation of September 20, 2013, Del Sesto described how in the early days of her leadership BLO was still required by the musicians’ union to post a bond for the payment of their members’ salaries before every performance, harking back to the days when there was reason to be wary of BLO’s ability to pay. Perhaps more disturbing was the profound distrust harbored by much of the business community of any opera company’s ultimate ability to remain solvent, coupled with their failure to distinguish one organization from another. For many years after Sarah Caldwell ceased production, the state Attorney General’s office called BLO on a regular basis with complaints from people who were owed money by the Opera Company of Boston and who did not understand that BLO was not connected to it in any way nor liable for the debts in any measure. As grant funding for opera education for children shifted from a performance model to a hands-on model, BLO had to change its delivery as well. It now presents professional development training for classroom teachers and teaching artists using a curriculum developed for that purpose by OPERA America: Music! Words! Opera!. The teachers in turn educate their students about opera and work with them to produce their own original class opera. In BLO’s Create Your Own Opera Partnership Program, teachers and students are supported throughout the academic year in the implementation of the Music! Words! Opera! curriculum through continued professional development and a teaching artist residency to meet the unique needs of their school. In addition, BLO has developed a partnership with the Wheelock [College] Family Theater to create school vacation week participatory programs for children in elementary through high school. In a further educational offering, high school and college students and their teachers are invited to attend the Final Dress Rehearsal of each opera at no cost. The teachers use study guides generated by BLO staff to prepare the students for the experience, and the students are encouraged to submit to BLO an artistic response of their reaction to the performance. The Dress Rehearsal opportunity is the continuation of an initiative begun by the Del Sesto administration. The success of the cinema experience does not seem to have created an increased demand for live local opera, in contrast to an earlier combination of opera and cinema in Boston. Beginning in 2006 before the widespread availability of the Met telecasts in theaters, BLO had partnered with the Coolidge Corner Theater in Brookline to present a series of films of great operas. The program was entitled “Divas in the Dark” initially and then “Europe’s Grand Operas” when the content of the programming changed to telecasts recorded at European opera houses. BLO staff were present at the screenings to promote the sale of subscriptions and tickets to upcoming BLO productions, and the program usually included a live singer who performed excerpts from one of BLO’s seasonal offerings. In that context, the film viewing appeared to serve as a complement to live opera and perhaps as a stimulus to seek it out rather than as a substitute for it as now seems to be the case with the Met telecasts. General Director’s message, p. 3, Boston Lyric Opera’s program notes for The Ballad of Baby Doe; see Part IV, note 4. General Director’s message, p. 12, in Playbill for Boston Lyric Opera’s production of Resurrection; see Part IV, note 6. Major’s BLO productions since leaving the Artistic Directorship have been L’Italiana in Algeri in November of 2004, see Part III, note 10; The Inspector, music by John Musto, libretto by Mark Campbell, performed April 20, 22, 25, 27, 29, 2012, at the Shubert Theatre; and The Magic Flute, music by Wolfgang Amadeus Mozart, libretto by Emanuel Schikaneder, World Premiere of new English adaptation by Kelley Rourke, Leon Major, and John Conklin, performed October 4, 6, 9, 11, 13, 2013, at the Shubert Theatre.